Bulova 1974 Jet Star "12620"
Runs, keeps very good time, well used, multiple scratches on case, back and crystal, day and date function work but are fussy to set with stem. Here's the snippet from the 1973 ad linked above for the model 12620. 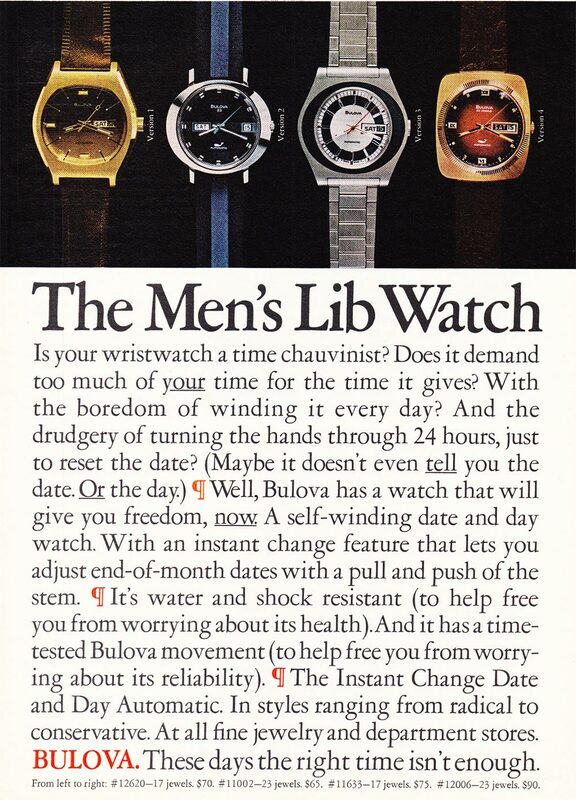 The text discription for this watch ad only says "#12620-17 jewels. $70". Click for full ad. Quite similar, but subject watch model name is Unknown to me for now. I noticed the second hand is different from the ad, but the watch looks very similar to the ad when in hand otherwise. I'm with Geoff on this one, other than the second hand..the watch is almost an exact match. Fifth....any evidence to show your Clipper call. It may help me and others see something that you have seen in a better light. I just found an advert showing the exact watch with the same second hand as the Jet Star '12620', so I am publishing as such.